Author health4earthPosted on April 13, 2018 April 13, 2018 Categories clean water, healthy, reduce. reuse. recycle, wildlifeTags Gutsy Grackle, Minneapolis, plastic pollutionLeave a comment on No Straw, Thank you! If You Love The Lake! Minneapolis is a city of lakes. “Walking the lake” is a big deal for most of us, and the lakes are magnets for people from all over the Twin Cities metro area and state. 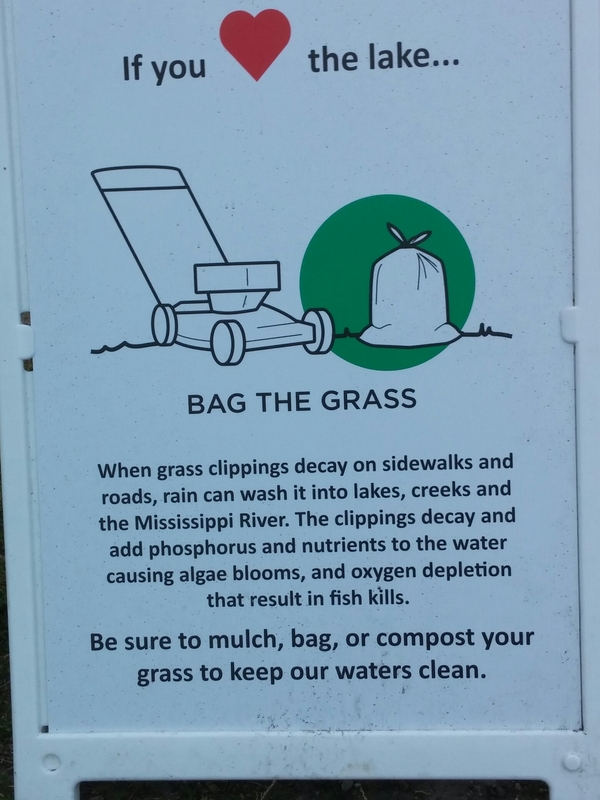 I am impressed with this educational campaign taking place along the walking paths of the Minneapolis lakes. It looks like a thirsty future for the world. The Pacific Standard Magazine has just publish a map of the world’s troubled waters and some of the politics around water. More things you can do to protect our water bodies here. Author health4earthPosted on May 25, 2016 May 26, 2016 Categories climate change, healthy, lakes, oceans, rivers, streams, sustainable, UncategorizedTags educational campaign, Minneapolis, Pacific Standard Magazine, protect clean water, sweep, water, Water Wednesday, world map of troubled waterLeave a comment on If You Love The Lake! meat, breads, eggshells, non-recyclable and food-soiled paper, and more for composting. The new organics recycling program is an easy way for residents to reduce waste. The trucks haul this waste to the compost site where it is turned and heated and it turns into valuable compost to be used for gardening. Please come to the event below to learn about Minneapolis’s new program and how to participate in this great program! The Tangletown and Lynnhurst Neighborhood Associations are co-hosting a celebration of Minneapolis’ new organics recycling program on Saturday March 19th from 10am-1pm at the Lynnhurst Community Center (1345 W Minnehaha Parkway). Enjoy free pizza, games, children’s activities, and demonstrations. Stop by briefly or stay to catch a workshop at 10:30am or 11:45am. Get your questions answered, sign up to be a volunteer Compost Captain, and enter to win a door prize. The first 200 attendees can also pick up free compostable bags. More info (and RSVP) at https://www.facebook.com/events/550666345107610/ Hope to see you there! Author health4earthPosted on March 14, 2016 Categories climate change, healthy, sustainableTags compost, Minneapolis, organics, recycleLeave a comment on Minneapolis Goes for Organics!